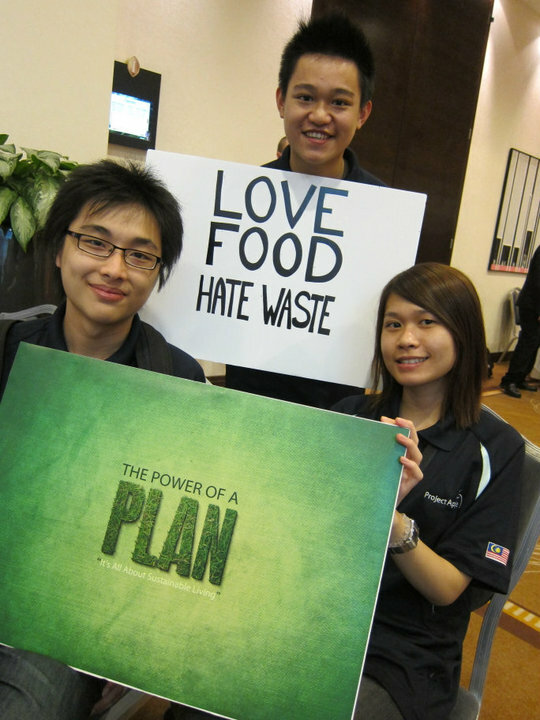 In year 2010, Malaysia team had definably achieve a big milestone in Imagine Cup at international level. Team HDC that represent Malaysia in Imagine Cup 2010, worldwide final at Poland had gone all the way to the top 6 in Software Design category. This is the first time that Malaysia team got into the final round of Software Design on international level while none of any team from previous years had ever make into the round one, not to said the final top 6. If this is the first time you heard about Team HDC, the team is consist of Keith Khoo Lay Kit, Lee Chong Yang and Choong Yen Yen. All of them are from APIIT UCTI. They are also the first team from private university that represent Malaysia in Software Design category too. What is their project all about? Project Apple aims to improve health and well being by promoting good eating habits and making them easy to accomplish on a daily basis. With the help of recipes and meal-plan recommendations according to users’ various lifestyles, Project Apple enables people to make informed dietary and nutrition choices. The application serves not only the mass consumer, but can act as a consultative tool for dieticians and doctors in underlining dietary guidelines and creating suitable meal plans for patients of various medical conditions. Project Apple wasn’t built as a sole application to solve the widespread amount of unhealthy eating. It’s a part of an initial approach to kick start a healthier lifestyle that each of us must adopt, in order to change the way we live. Through this platform, we hope that in the long run, people will eat healthily and collaborate with organic food suppliers. Quality assured food will be accessible to all. It is almost a year after Imagine Cup 2010 Worldwide final at Poland end. Some of you, including I were interested to know how are they doing now and their thought of Imagine Cup after the trip to the Imagine Cup 2010 final at Poland. I’m lucky enough to have a short Q&A section with them virtually and learn about their story after Imagine Cup. Q: What are you all doing now? A: All of us are still pursuing our bachelor degree. Keith is majoring in Computer Sciences while Chong Yan and Yen Yen is majoring in Software Engineering. All of us are currently in our second semester of year 2 and expected to graduate on year 2012. Q: What happen to Project Apple after Imagine Cup end? A: The project is on hold for the moment because all 3 of us are busy with our study and assignments. Q: Did Imagine Cup changed your life? How? A: At the beginning of year 2010, none of us could ever imagine that we would be qualify for the national level, what more the worldwide finals. We believe that Imagine Cup has made us stronger as a team, even through we have been together as a group working on group assignments or projects during our university life. During the competition, we realized each of us posses our own set of skills and strengths. From that, we learn from each other and form a great team as Imagine Cup is not only about programming only but include presentation, problem research and many more. To us, no matter if the solution is the best or not; without the team spirit, there isn’t any difference. Imagine Cup definitely changed our life in terms of experiences as a student to represent our home country in a worldwide competition. Throughout the entire competition, we had traveled to many places and met with many industry leaders who gave us guidance along the way without any cost. Without Microsoft Imagine Cup, all of those won’t ever happen at all. Q: What is the most important lesson you all have learned by joining Imagine Cup? A: Imagine Cup definitely opened our eyes in the sense that there are many others out there as passionate as we are towards technology. Imagine Cup had truly tested our skills, from developing a software to solve the real world’s problems to presenting in front of a massive crowd and the ability to adapt to whatever circumstance that we were in. We didn’t go home empty handed for sure. Q: What has been your team most favorite part of the Imagine Cup competition and why? A: There wouldn’t be a specific part that was our favorite but rather the whole entire experience that made it worthwhile. I guess the excitement builds up throughout the competition which started from the burning of midnight oil to complete the submission of video and all the way to being announced that we were in the top 6 of the worldwide finals in the Software Design category. If there were a best part, it’s surely during the announcement of the national level finals result. Q: Give us a short and creativity sentences using your own word that you will use to encourage other students to join Imagine Cup in future. A: Being able to join Imagine Cup is the best part of being a student, the overall experience is truly priceless. Their journey did not stop after the Imagine Cup 2010 end, but it is just the beginning of a new chapter in their life. I’m definably looking forward for their next big plan in future. If you are interested to know more about them, you can follow them through Keith’s Twitter or Chong Yang’s Twitter. You can even read their blog on www.issoserious.com.